(VEN) - The Ministry of Industry and Trade says fruits and vegetables have become Vietnam’s biggest farm produce export and are expected to set a new record in 2017. According to the Vietnamese Embassy in Washington, the US Department of Agriculture has officially licensed Vietnam to export fresh mango to the US from December 29, 2017. Mango is the second Vietnamese fruit licensed for import to the US this year, after star apples. Dragon fruit and longan are also major Vietnamese exports that do well in discerning markets due to their stable quality and good packaging. Fruit and vegetable exports reached US$290 million in November 2017, up 47.9 percent from the same time in 2016, taking the total to more than US$3.15 billion in the first 11 months of this year, 43.1 percent more than the same period of 2016. 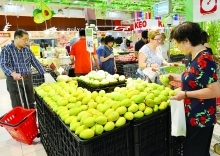 Vietnam’s fruit and vegetable exports are expected to grow further in this final month of the year due to increasing prices and export demand, the ministry added. This augurs well for the year’s total fruit and vegetable exports, which could set a new record of US$3.6 billion plus in 2017, far exceeding the US$3billion target. 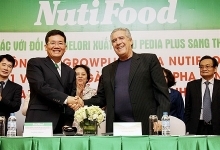 The Ministry of Industry and Trade believes there is room for increased Vietnamese fruit and vegetable exports. 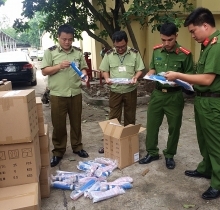 The world’s annual fruit and vegetable imports have exceeded US$200 billion since 2011, while Vietnam’s fruit and vegetable exports account for only a little over one percent of this, the ministry said. The Ministry of Industry and Trade is working with the Ministry of Agriculture and Rural Development to restructure the agricultural sector, build complete production chains, improve product value, create products meeting food safety and hygiene standards and satisfy import markets’ specifications. 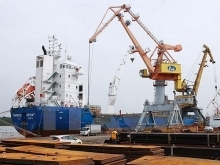 At the same time, the Ministry of Industry and Trade will stimulate fruit and vegetable trade promotion for potential markets or those with which Vietnam has signed a free trade agreement. 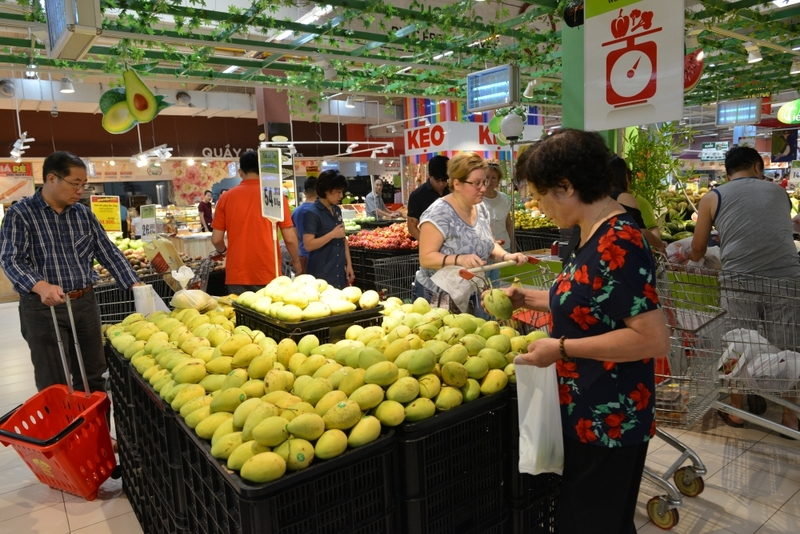 In the first 11 months of this year, Vietnam imported fruits and vegetables worth about US$1.39 billion, up 69.6 percent from the same time last year. Duong Phuong Thao, Deputy Director of the Ministry of Industry and Trade’s Import-Export Department, said a large part of the vegetable and fruit imports are subsequently exported to other markets so they do not have a negative effect on the trade balance but contribute to increasing export revenues. 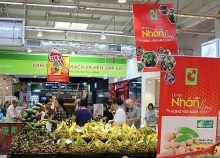 Vietnamese businesses have exported vegetables and fruits to more than 40 countries and territories worldwide, including discerning markets like the US and Australia. Asian markets, including China, the Republic of Korea (RoK), Japan, Thailand, Singapore, and Malaysia account for a larger part of the total.